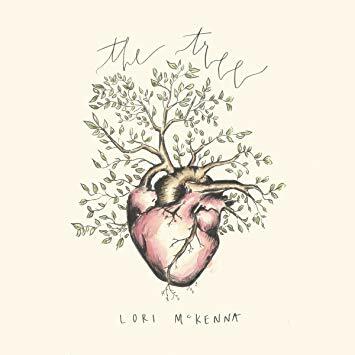 From my perspective, Lori McKenna is the best working songwriter whose last name isn't Prine. She has a gift - and 'gift' seems like the biggest understatement ever - for conveying real, lived-in emotion. She doesn't paint a picture; she paints you into the picture. You're there. No matter your particular station in life - when Lori sings, you're a broken-hearted husband, a loving mother, a thankful child. I'm almost convinced it's voodoo. The Tree is McKenna's latest foray into messing with your feelings. Family is front and center across the eleven songs, and again, it doesn't matter what you bring to the experience - Lori's plucking you from your existence and plopping you down in her stories. "People Get Old," the album's first single, builds a world around its simple title. The passage of time and the certainty of aging are well worn themes to be sure, but you haven't felt them like this. The imagery - dad's cut sleeved t-shirt, turning off all the lights int the house like her dad did - doesn't just set the scene, it sets the mood. Lori's vocals pull you the rest of the way in, and suddenly you're reminiscing the past and pondering the future right alongside her. "You Can't Break a Woman" tells a philandering mate how little his drinking and running around matters anymore. She's still there, but she's not there for him to hurt. Even though the message is to the lover, you're the titular woman. She hasn't left yet, but she's long gone. There's some joy to be found on The Tree - celebrating the small things and the everyday heroes (mom!). There's also a lot of struggle to go around - much like life. McKenna's brilliance is her searing honesty. Her ability to absorb the listener into the song is without equal. Give this album your full and undivided attention, but prepare yourself. This isn't a record of pat platitudes and mindless entertainment. It demands of you. I don't get "in my feelings" much, but if you really listen to this album and don't go there, you missed out. The Tree is out 7/20 on all platforms.